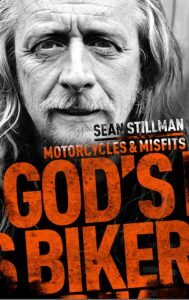 We are pleased to announce that Sean Stillman’s book ‘God’s Biker: Motorcycles and Misfits’ is being published by SPCK and due for release on 20 Sep, 2018. It is now available for pre-order in local bookshops or via all the usual online book stores internationally. – Lord Rowan Williams, former Archbishop of Canterbury, in his Foreword.